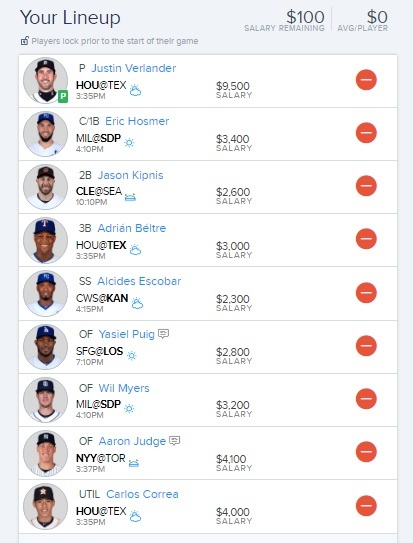 Justin Verlander is set to start the season off with a strong start, solid value as well. I like Eric Hosmer to have a big debut for the Padres. My sleeper pick is Jason Kipnis. 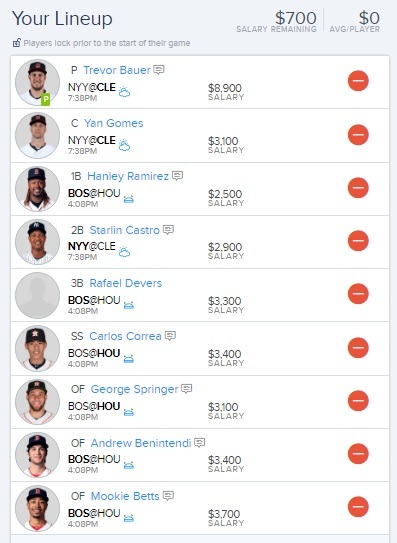 The 2018 fantasy baseball season is here and FanDuel has great offer for new users! Use promo code FLINFO to get free entries today! Click here to get started! Trevor Bauer should have a solid outing and rack up a few strikeouts against the Yankees. 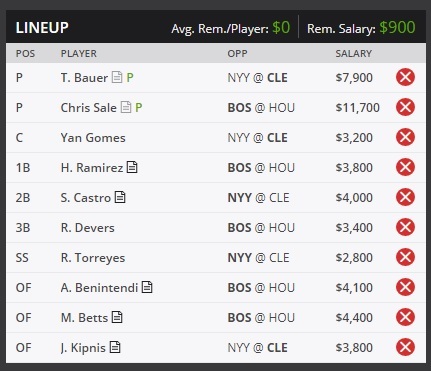 The rest of this lineup is balanced out to handle high scoring games. 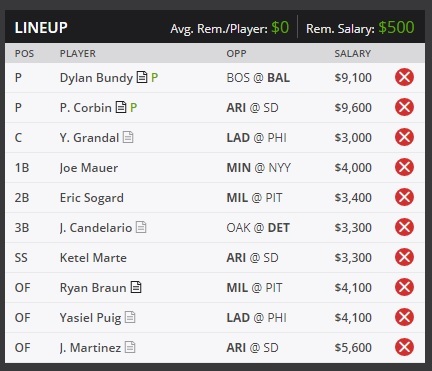 Look for Hanley Ramirez to have a solid night at the plate and be a good value play. Trevor Bauer has a great match up against the Yankees who are known to strikeout a lot. Look for big SO numbers to make up for any runs given up. I like Chris Sale to have a good outing and he has the chance to be dominant against the Astros.